Canon EOS 6D: The Guide to Understanding and Using Your Camera from Rocky Nook is a comprehensive instructional book by author James Johnson and covers everything from basic camera features to advanced photographic options. With this resource as your guide, you'll successfully learn how to use the 6D and its impressive array of advanced capabilities. 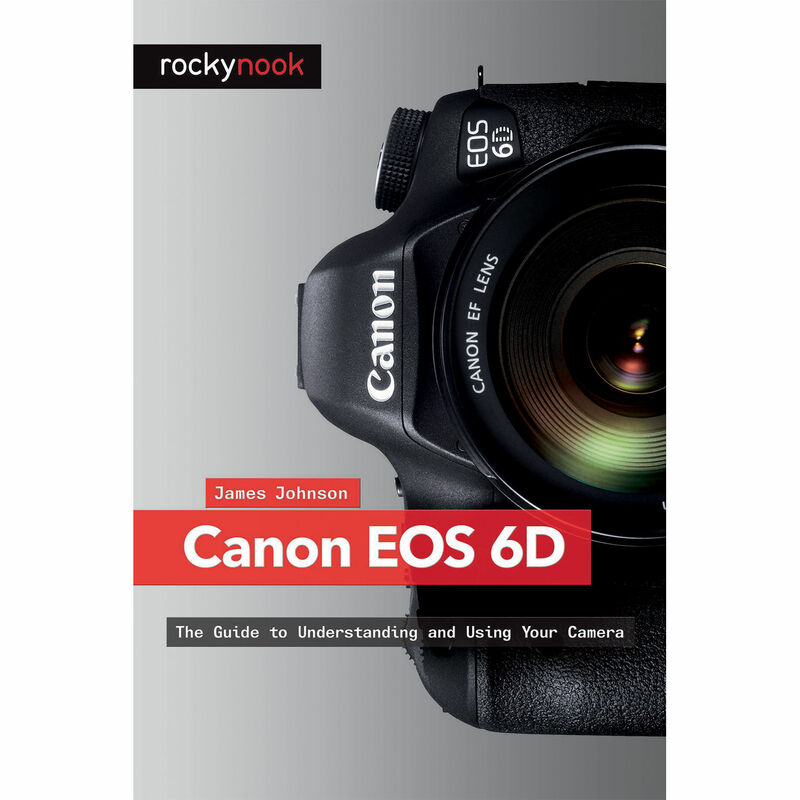 Offering much more than the camera's user manual, this book's in-depth exploration provides illustrations, step-by-step setting adjustments, helpful recommendations for setup, and detailed explanations for each of the camera's many features and menu configurations. Featuring easy-to-follow screenshots and example images, this book introduces intermediate-level camera users to recent DSLR features such as GPS and Wi-Fi. Also covered is the camera's hardware and software as well as related accessories. If you are looking to take full advantage of all the 6D has to offer look no further. With this book as your guide you'll learn how to successfully use this powerful camera to its maximum potential.